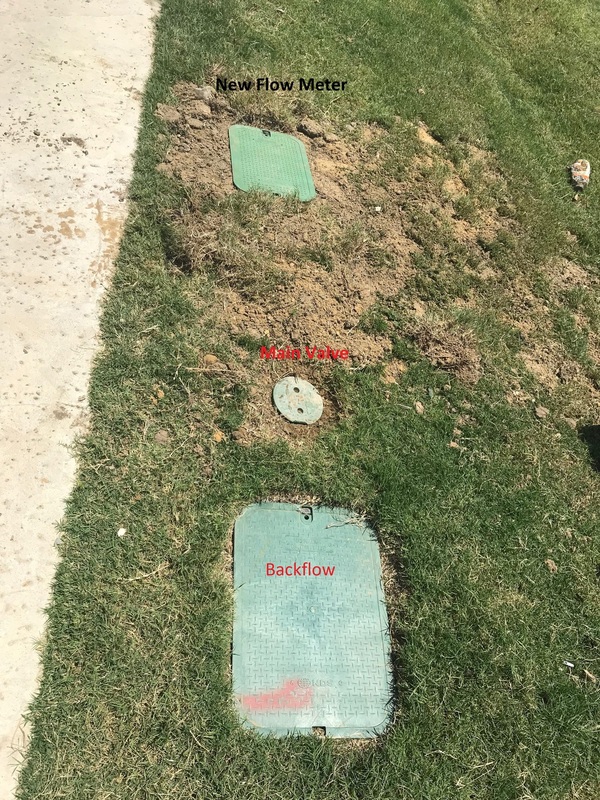 Flow Meter Placement between the main valve and the first zone? I have an underground set-up where my main valve is about 6" from my backflow valve. It then takes a turn to go under the driveway. Is it ok to install the wireless flow meter between the main valve and the first zone? I understand I may miss any leaks that exist between the flow meter and main valve but I should be able to see those pretty quickly since it is by my driveway. If your main valve is a master valve for the system, that is not a problem. You’re correct that you’ll miss any leaks upstream but it sounds like your ok with this. I have an underground set-up where my main valve is about 6" from my backflow valve. It then takes a turn to go under the driveway. Is it ok to install the wireless flow meter between the main valve and the first zone? @Bgerron, any chance you can share some photos? Sure. Here are a couple of pics. I used their instructions for installing to 1" PVC and it worked great. I am only about 75 ft away from the controller. I had good reception when I finished the install yesterday but it has dropped out several times requiring me to remove and reinstall the batteries. This is a bit of a pain. Hopefully future versions have a reset button of some kind. Now I only have poor reception for some reason. The only thing between the meter and the controller is the lid and a garage door. I have taken the lid off and opened the door but it is still showing poor. I think I remember seeing a thread where it is showing an average and is not instantaneous. For some reason I am unable to make it through calibration without one or more of the zones saying it didn’t detect any flow. It’s usually the same two zones but there is clearly plenty of flow. I am still working through it.